Aniworld design and create innovative products for children with an animal theme, including lampshades, wall clocks and these funky watches. The watches come in a range of designs including all sorts of favourite animals, sea creatures and even dinosaurs! Little N had a good browse through them all and decided the red ladybird was his favourite and a few days later his watch* arrived. 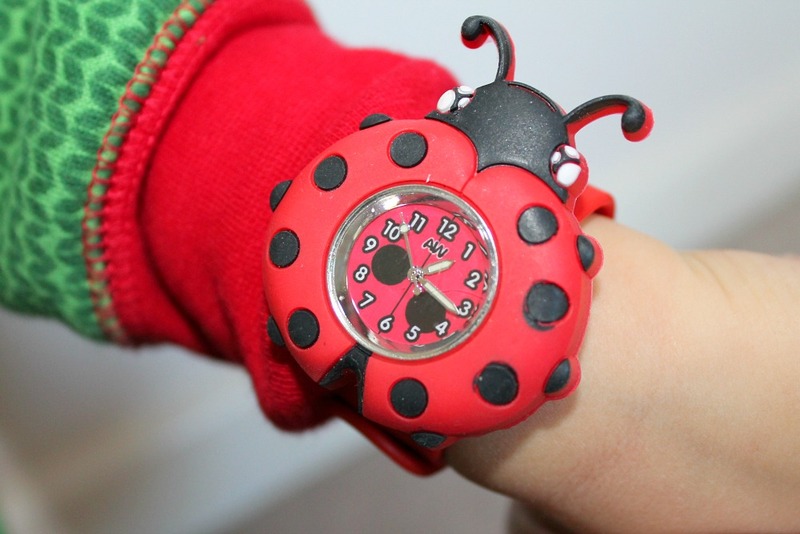 This battery-operated watch features an analogue display with easy to read numbers and a big bright ladybird design. 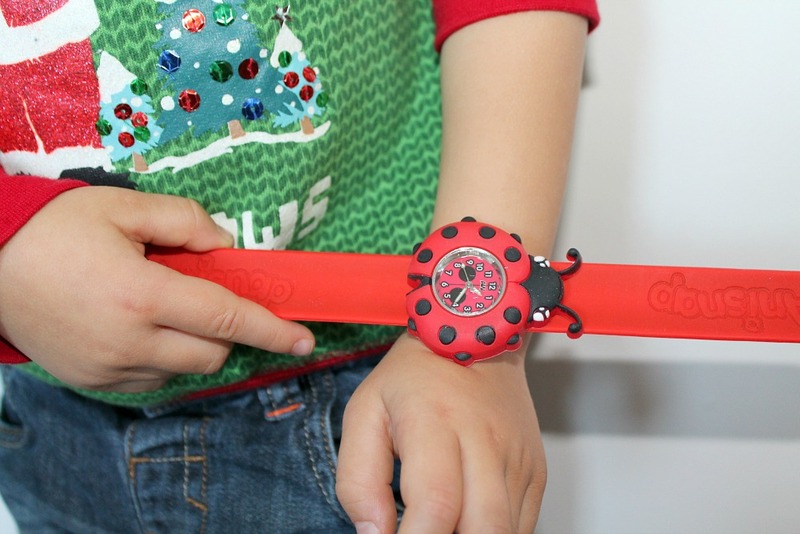 The snap strap fastening means that Little N can put his watch on himself, something that makes him very grown up, and it will always fit him perfectly. He puts on his watch the moment he wakes up, and keeps it on until it's time for bed. He shows his watch to everyone we see: the postman, the shopkeeper, his friends, everyone! At the moment he doesn't know how to tell the time, so if you ask him what the time is he replies: "four o'clock in the morning" no matter what time of day or night it actually is! I have no idea where he has heard the expression, but it does make me laugh. The watch is a great way for Little N to practise counting and it will be ideal for helping him be able to tell the time once he starts to learn. I know what all Little N's friends will be getting for their upcoming birthdays now! Anisnap watches cost £10.00 and you can find them in John Lewis, Boots and onAmazon. *Aniworld kindly provided the watches for the review and the giveaway.